Last weekend, over 40 volunteers from the GOB gathered at the Albufera de Mallorca to plant trees in the lagoon of Ses Pardes. In total, 90 trees were planted specifically White Poplar (Populus alba) and Narrow-Leafed Ash (Fraxinus angustifolia). The trees will provide the lagoon with resting and sheltering space for several species of birds. The project was a collaboration with the Natural Park and its team of educators, who explained to the volunteers the basic characteristics of s'Albufera and the lagoon of Ses Pardes. The day was supported by the Biodiversity Foundation. The Alcúdia’s Environment Dept has just delivered recycling bins to schools as part of their new campaign to improve recycling in the town. 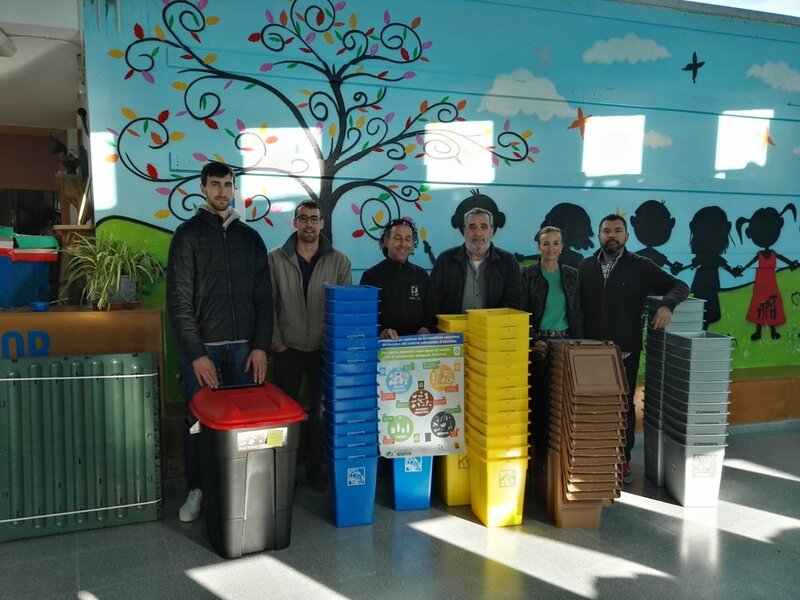 IES Alcúdia, IES Port d'Alcúdia, CEIP Norai, Our Lady Consolation, CEIP Porta des Moll, CEIP s'Albufera and CEH S'Hort des Fassers were all included in the scheme where a total of 122 100L containers, 520 26L classroom bins in brown, blue, yellow and grey, 7 composters and 176 posters. This campaign from the environmental area of the Alcúdia Town Hall has been possible thanks to a Ministry of the Environment (Government of the Balearic Islands) subsidy of €11,975.33. As the Balearics released its ambitious (and controversial) plans to rid the islands of single use plastic by 2020 (next year), it is great to see that some companies are really making big changes to their policy. One of which is Club Mac, the family resort in Puerto Alcudia. items, including plastic cutlery, will be replaced with wooden and sugar-cane versions in a move that will see 7,400,400 individual pieces of plastic saved from becoming waste. Take a look at the amount of plastic being stopped!